Over 800 homeless youth live within the boundaries of the Washington County School District, said Mike Carr, homeless liaison for the Washington County School District Foundation. The new Youth Futures Shelter Home, which opened Oct. 20 for homeless youth between the ages of 12-18, has already sheltered nine youth and provided daytime services and meals to several drop-in youth over the past six weeks. There is a need to support these children and assist in providing living and educational essentials, so here’s how you can help this holiday season. Wish Trees are set up at all Stephen Wade locations including Mercedes-Benz of St. George. The Wish Trees will have tags with specific items needed from each nonprofit organization. 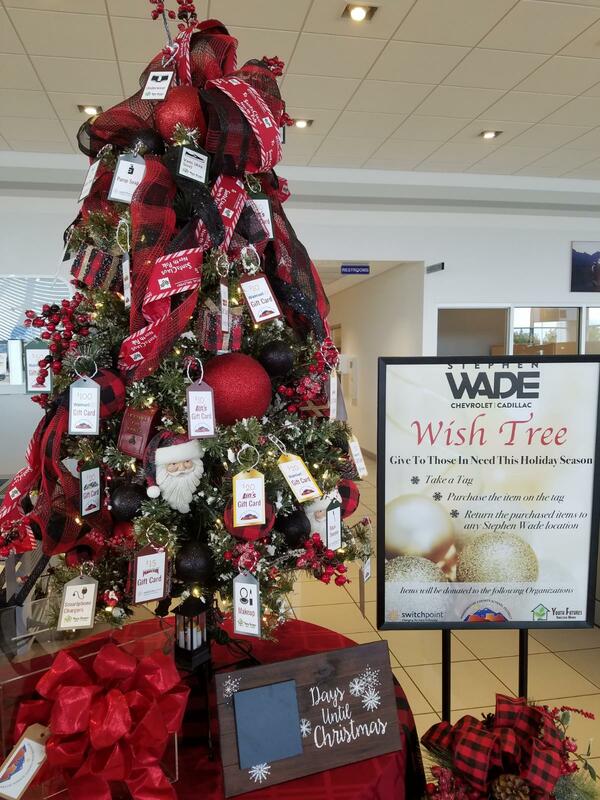 The Wish Trees are similar to Angel Trees where you choose a tag off the tree, purchase the item and deliver it to any Stephen Wade dealership including Mercedes-Benz of St. George. All items donated will be disbursed to schools in Washington County School District, Youth Futures and Switchpoint. Donations are encouraged to assist the nonprofit organizations by donating gift cards, cash or items listed on the Wish Tree tags at any Stephen Wade dealership until Dec. 22. How much is Stephen Wade kicking in?